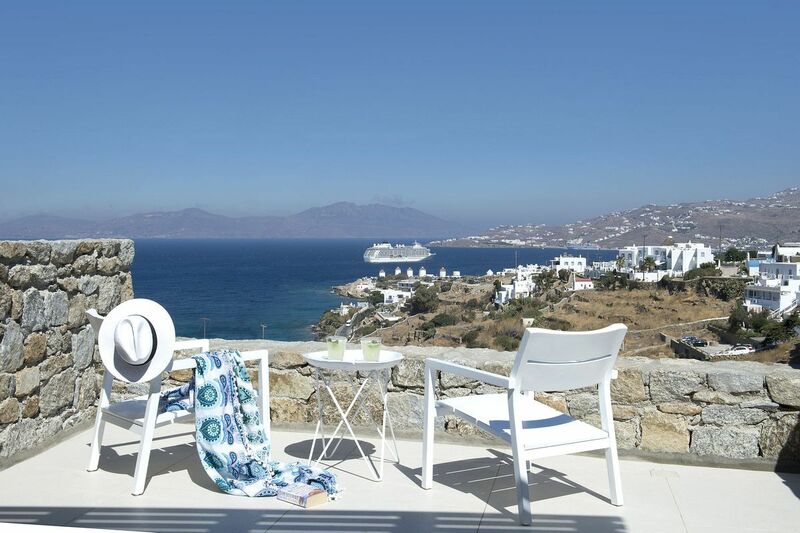 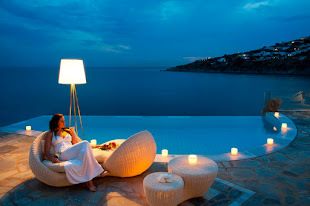 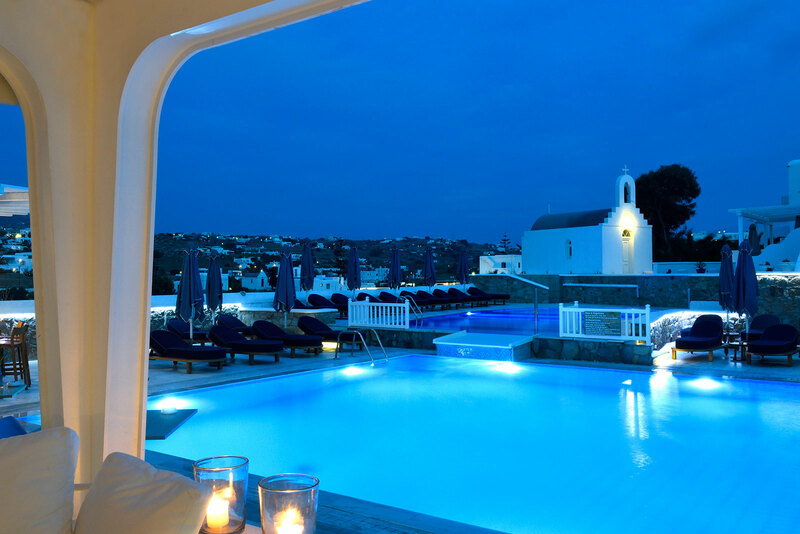 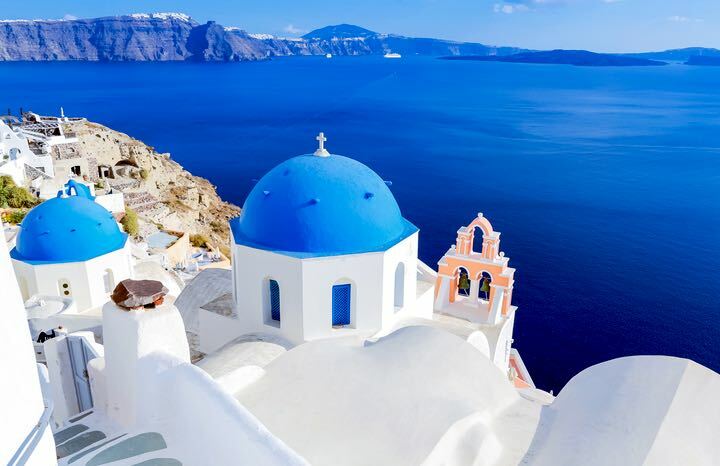 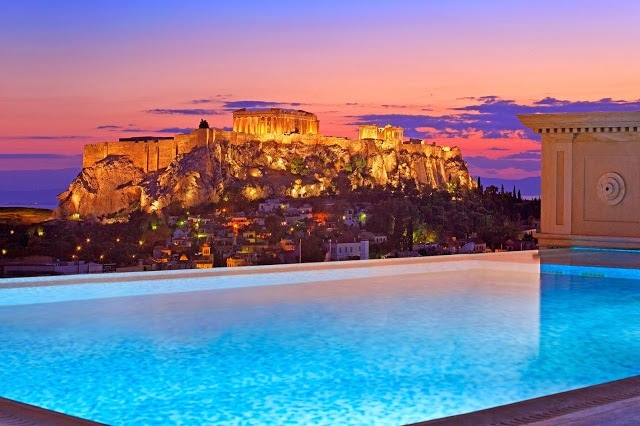 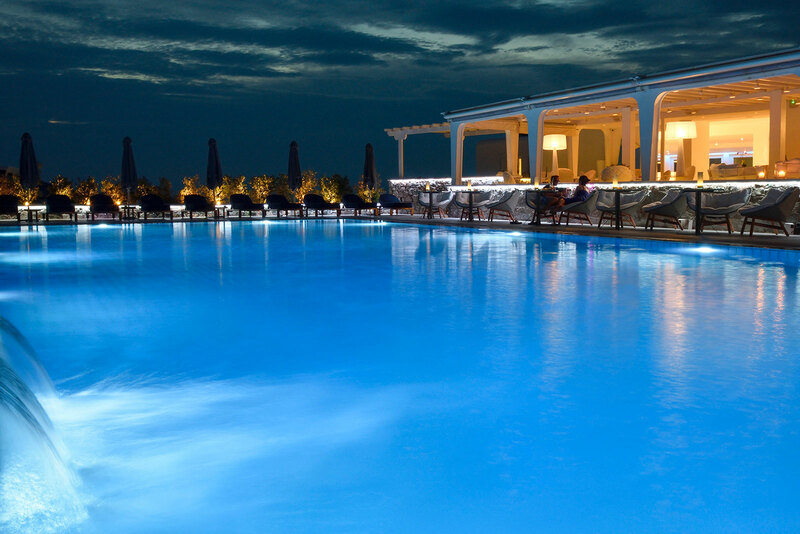 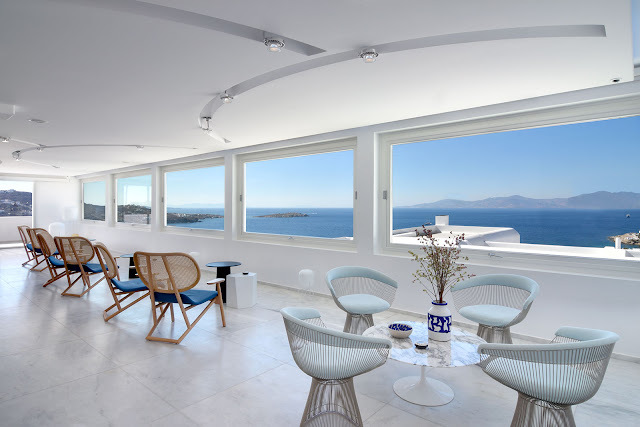 Drenched in bright Aegean light, rooms face glorious panoramas of the ink blue sea, while the soothingly stylish suites are decked out with charming outdoor pools and Jacuzzi. 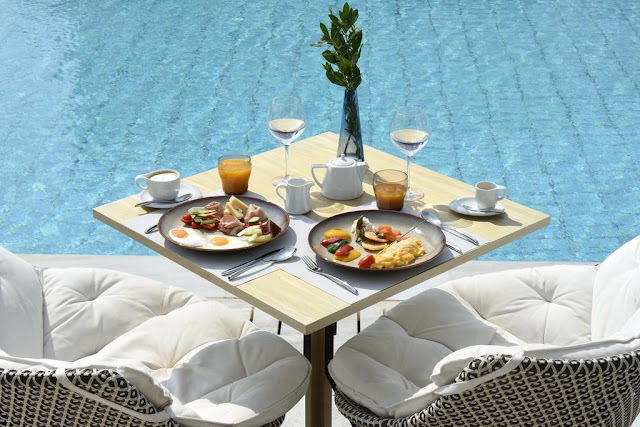 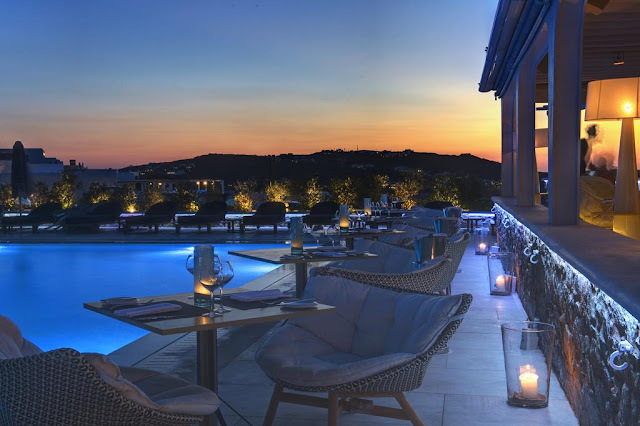 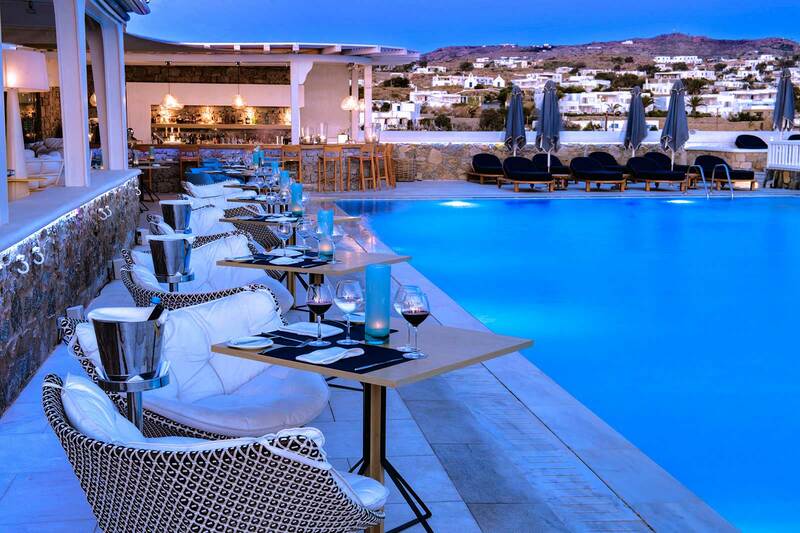 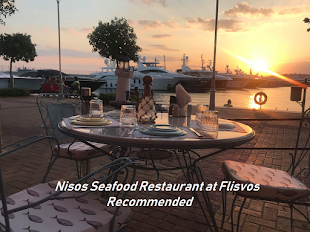 In terms of food, days at Myconian Kyma start with a lavish Champagne breakfast by the pool and end with Mediterranean haute cuisine at the hotel’s fine dining Kalypso Restaurant. In between, make sure to visit the onsite Satori Thalasso spa, where 5 indoor therapy pools and a variety of luxurious massages are bound to relax and rejuvenate your mind and body. 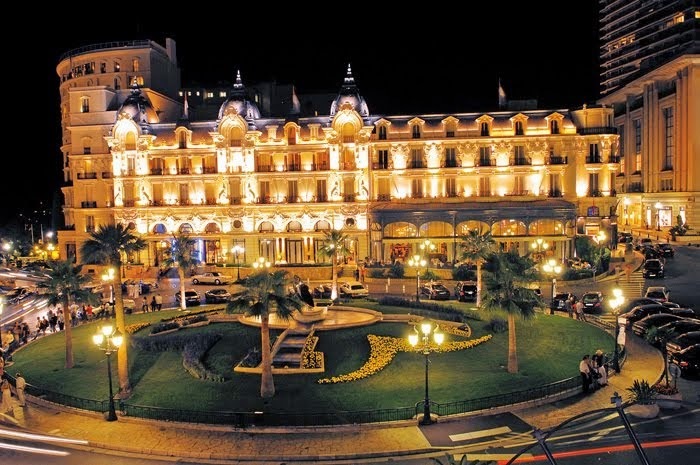 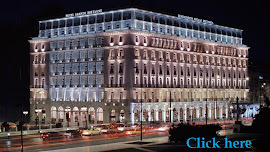 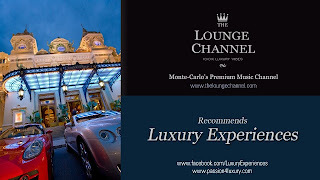 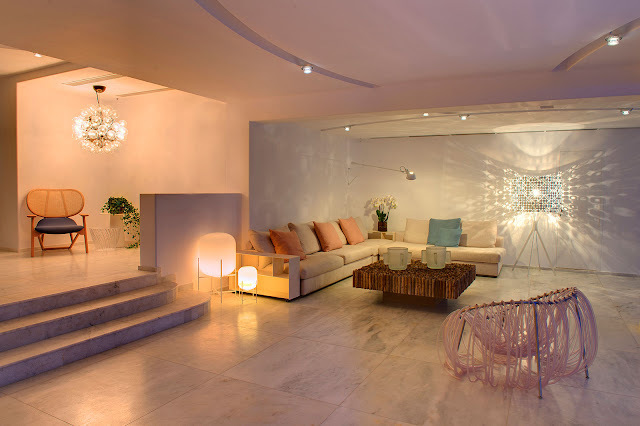 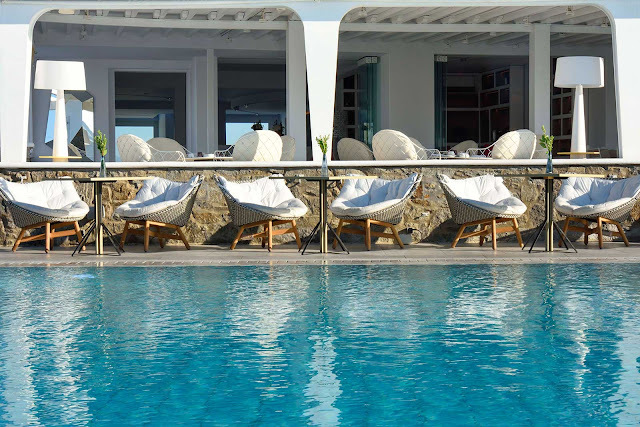 The architecture and design firm GM Architects of Lebanon completed their refurbishment of the former three-star Myconian K to its rebirth as the five-star luxury Myconian Kyma. 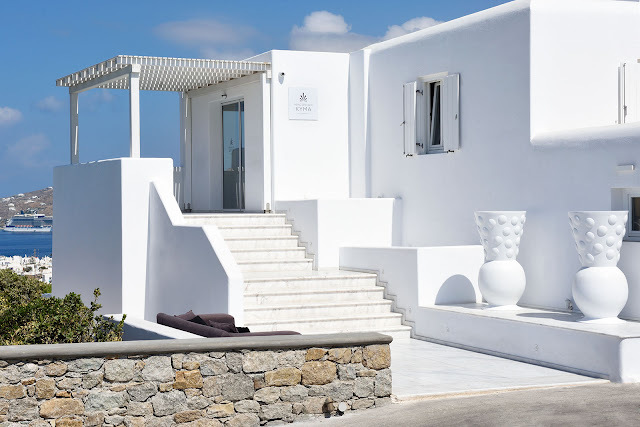 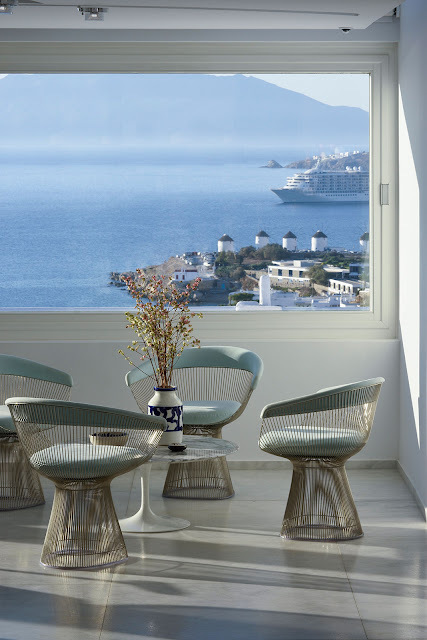 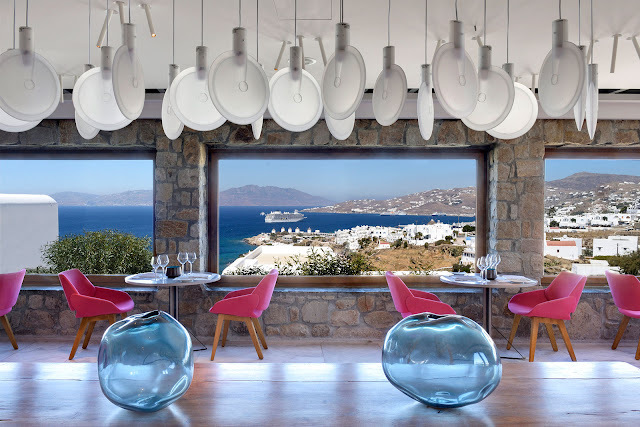 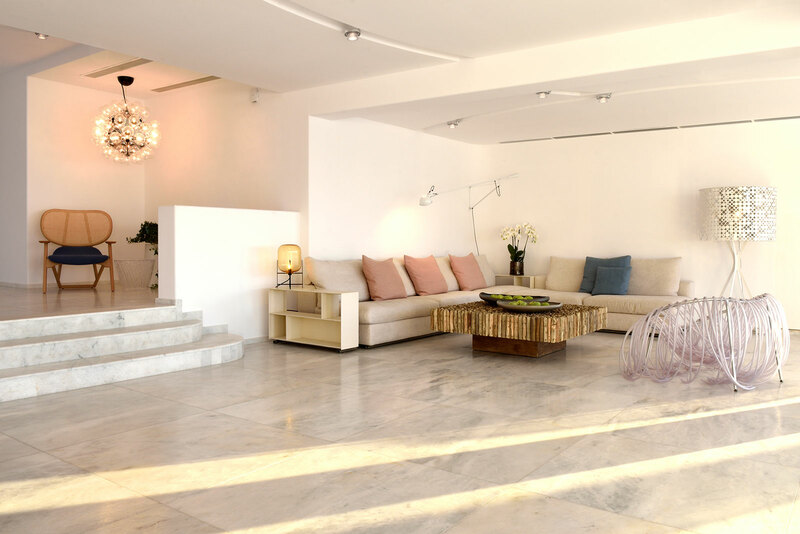 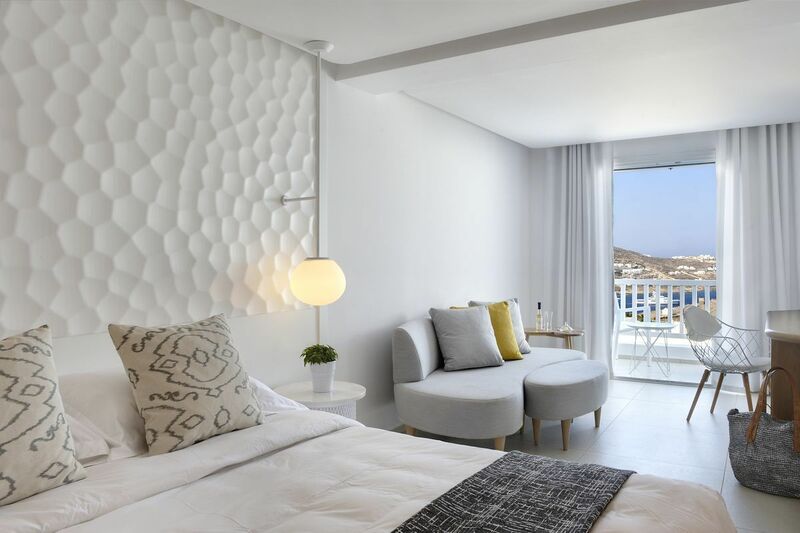 As one of the five hotels belonging to the family-owned Myconian Hotel collection, it keeps a dominant whitewashed Cycladic design like its sister properties. The main lobby and dining spaces are further brightened with simple pops of pastel colour featured on designer furniture and bespoke pieces of ceramics and art.